The Life in the UK test is a key requirement if you plan on settling in the UK. 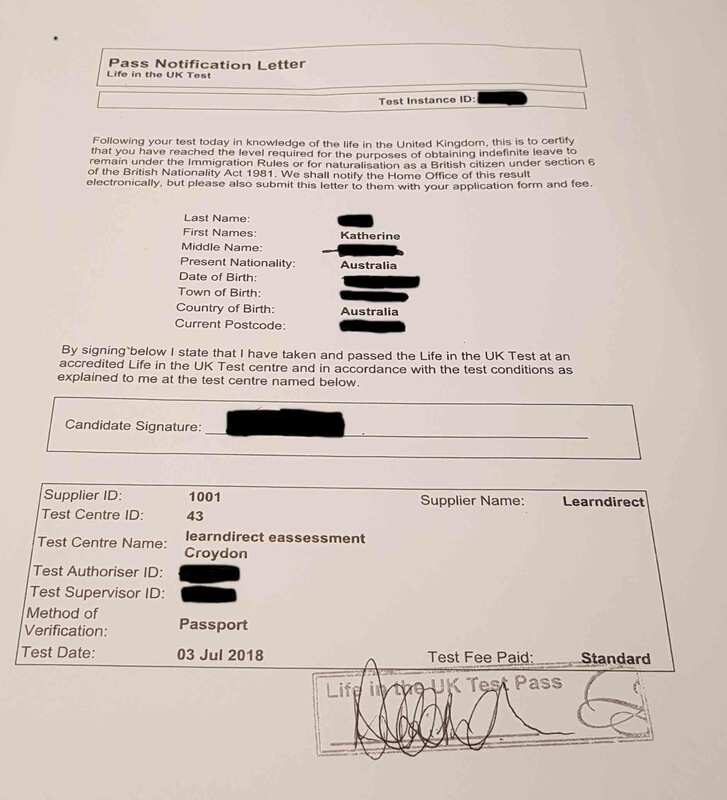 After having gone through the test I thought I would share my experience, all the questions I had, what the process was, the experience on the day of the test and some suggested ways to learn about life in the UK. Psstt.. prefer to watch my experience? I’ve included a video at the bottom of the article. What is the Test There to Do? Can I Take the Test After Applying for Settlement or Citizenship in the UK? When Can I Take the Life in the UK Test? How Do I Book My Test for Life in the UK? What’s the Official Website for the Test and Books? How Many Questions Are There? How Long Does the Test Last? What Score Do You Need to Pass Life in The UK Test? How Do I Prepare for the Life in the UK Test? Do I Need to Take Any Identification with me to the Life in UK Test? Will I Get a Certificate If I Pass? If I Need to Re-sit the Test Will I Have to Pay Again? How Many Times Can I Resit the Test If I Fail How Do I Book a Test? What to Expect When You Arrive at the Test Centre? The test is to ensure we know something about the UK so basically covers the UK history, traditions, society, monarchy, government, values and culture. No, it is a part of the evidence that you need to provide the certificate and is specifically stated on the required documents list. As the pass certificate doesn’t have an expiry date it is possible to take the test anytime. I suggest not leaving it to the last minute as I did! I gave myself 1 month to study for the test which ended up being crammed in 3 days! It added unneeded stress to my application process and I was thankfully that I knew a lot about the UK anyway. The only way you can book a life in the UK Test is by using the website. Simply go to the website above and create an account. You will then be given options to choose a test centre and you’re able to book with one of five closest test centres to your home address. Select a centre that suits you, choose a time and date and then be asked to pay for the test. When you’re creating an account and booking your test it’s very important to ensure that what is written on your ID is exactly what you’re putting in as your account name. When you turn up to the test centre they will be comparing your ID that you provided against the booking details. If you don’t have this correctly documented or provide the ID, you booked with then you may not be able to take the test and you lose your payment. 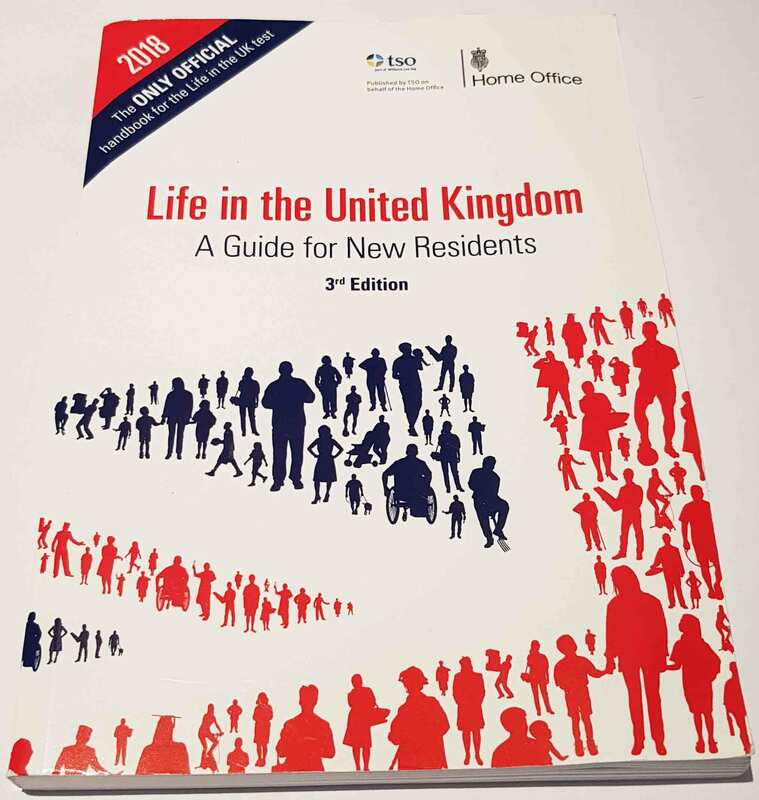 I bought the following books for my Life in the UK test, Life in the United Kingdom: a guide for new residents, Life in the United Kingdom: Official Practice Questions and Answers and Life in the UK Test: Study Guide 2018: The essential study guide for the British citizenship test. I would recommend purchasing the first book, a guide for residence, then purchase the online test instead of the other books. In my opinion, the test will give you more practice on the questions to expect and has 1000’s stored in the database to keep you in dated with new questions. The http://lifeintheuk.net/online-tests/ is where I mainly spent my time practising the test! You can get a years subscription for £6. Psst… this contains affiliate links, I will earn a small commission if you buy one of these products at no extra cost to you :). To postpone the test, you need to log back into your account on the official website and simply reschedule the date this can only be done 3 days before your test date if you don’t do this then you will lose the fee you have paid. There are 24 questions with either true/ false or 4 multiple answers available to choose from. The questions will be different for each test, however, all the questions will all be from the Life in the United Kingdom book. The Test lasts for 45 minutes but in general will take between 10 to 20 minutes. If my computer didn’t glitch during the test I would have been out in 10 minutes. You will need to get a 75% pass rate which means 18 questions right out of 24. Did you know that Megan Markle also had to take the Life in the UK test to become a resident of the UK? Turns out even Royals can’t get away without taking the test. Preparing for the life in the UK Test is like taking any test and will vary on the way you learn to what best suits you. All the questions in the test will be based on the Life in the United Kingdom handbook so make sure you purchase a copy. This way you’ll know what to expect test wise on the questions. There are another two books that you can purchase (insert) but the main book will give you all the information that you need. The official book also has a website which I found helpful to do the practice tests. Not only does this give you the structure of the question and answers but tests your knowledge. 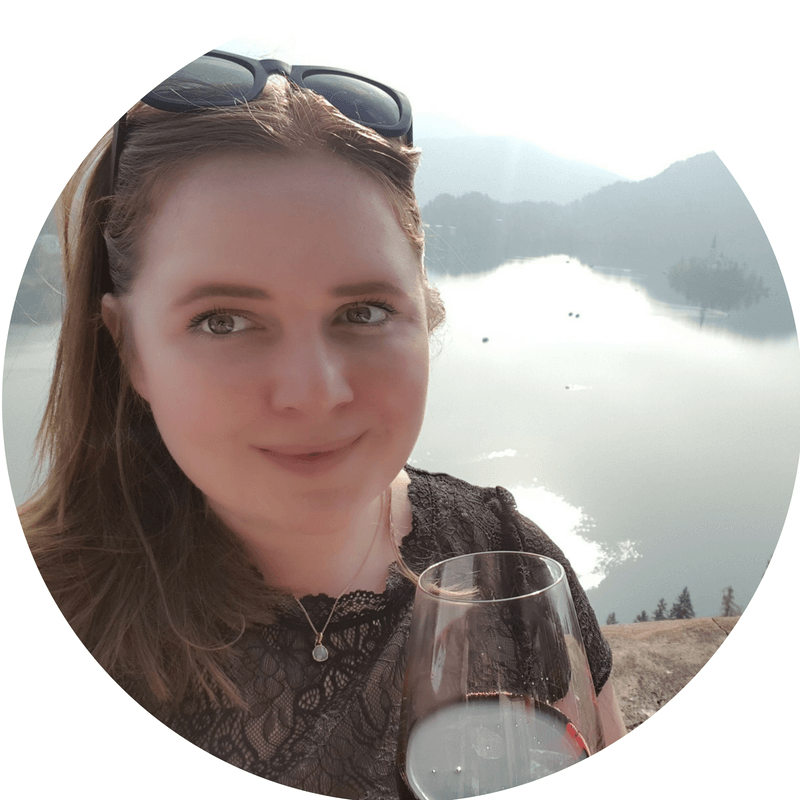 I spent a great deal of my time practising for the test using the practice questions! You can get a year’s subscription for £6 and is totally worth it. Find out more ways to learn about life in the UK at the end of the article. Yes, you will need to take two forms of identification, they will even send you a reminder. It needs to be the ID that you booked with and a document verifying your address, the following documents can be used. The result will be provided on the day, you will be told to wait in the waiting room after your test and then be called up by the receptionist who will tell you whether you have passed or failed. You will get one of these bad boys if you pass! The test centre will issue one copy of your pass certificate so keep it safe! If you lose that copy you will need to call the Home Office to get another copy. Yes, unfortunately every time you fail the test you need to pay for another test. Additionally, if you forget your ID you registered with, your ID doesn’t match the booking detail or you forget your proof of address. There is no limit on how many times you can take the test. It is more a case of how many times are you willing to pay for the test? The only rule in place is that there must be a minimum of 7 days before you can book another test if you fail. My test was scheduled at 10 am on Tuesday and as with anything like this I arrived 15 minutes before the scheduled test time. When I arrived at the test centre I was greeted by the security guard. The guard asked me for my name and asked if I wanted to go to the bathroom I was a bit confused because they didn’t understand it initially when he asked me at the time. Basically, as soon as you all registered with the front desk you’re unable to go to the bathroom. I guess it is just ensuring you’ve not got someone hiding in them giving you answers. Once I was ticket off the sheet I was given a laminated sheet explaining the details of the test process. I was surprised to see that the sheet said that it would be roughly an hour and a half to two hours at the test centre, thankfully this was not the case. After 5 minutes of waiting I was called by the receptionist to verify my booking details against my passport. I was asked to confirm my first and last name, birthplace and nationality. Therefore, it’s important that your ID matches your booking information as I mentioned above, fail to meet this and the test centre will not allow you to take the test. Once I was all checked-in a locker was provided for me to put all my belongings in. Everything apart my passport needed to be in the locker. When I entered the room, the supervisor checked my ID again and logged me onto a computer. The centre provided a headset so you can have the program read you the questions and multiple-choice answers if you need. Starting the test, I was given four questions to practice and these answers were not included in my results. Once I passed those four questions the test then proceeded to give me the 24 questions and started the 45-minute timer to complete the test. My version was a bit glitchy so I was worried that I might lose my test results during the process but thankfully that was not the case! Just needed to press f5 every time it froze. After completing the test I then head to back to the waiting room and collected my things from the locker. An anxious 5 minutes waiting until the receptionist called me up to tell me whether I passed or failed. Whilst I was waiting there was a lady arguing with the receptionist about her first and last name. It went on for some time! For some reason she put her first and last name back to front so the booking and ID did not match. Luckily for her the receptionist was trying to put a note on her file to allow her to take her test! Finally, the moment came and I was told I had passed! That sigh of relief was so real in that moment. I was given a pass certificate, requested to sign it and advised that this will be the only copy I get. Consciously keeping it safe and constantly checking that it was there until I got home. Now it’s safely sitting with my Indefinite Leave to Remain evidence. 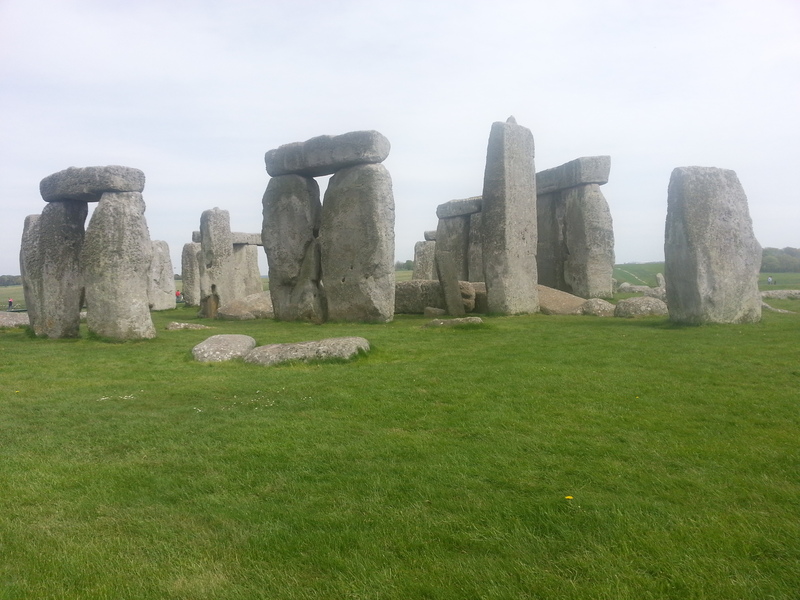 Learn about the history of the UK before the Romans, I highly recommend going to Stonehenge! You will get a free audio guide during your visit which will bring you up to speed on all the things you need to know. You will learn about the history of early Britain when the first farmers arrived in Britain 6000 years ago. In later years Stonehenge continued to grow during the Bronze Age where people-built roundhouses and buried their dead in tombs called round barrows. The people of the Bronze Age era were also accomplished metalworkers who made many beautiful bronze and gold objects this included ornaments and weapons. The book will expect you to know some of the places of interest to visit in the UK and history of the Monarchs. The Tower of London will cover William the Conqueror and much more. This is where the Crown Jewels are kept and you’ll get to see the famous Beefeaters. To make your visit to the Tower of London cheaper make sure you get there by rail and enjoy the 2for1 Days Out Guide offer (this isn’t available during July and August). The Life in the UK book expects you to understand the impact that the Romans had on British Society. 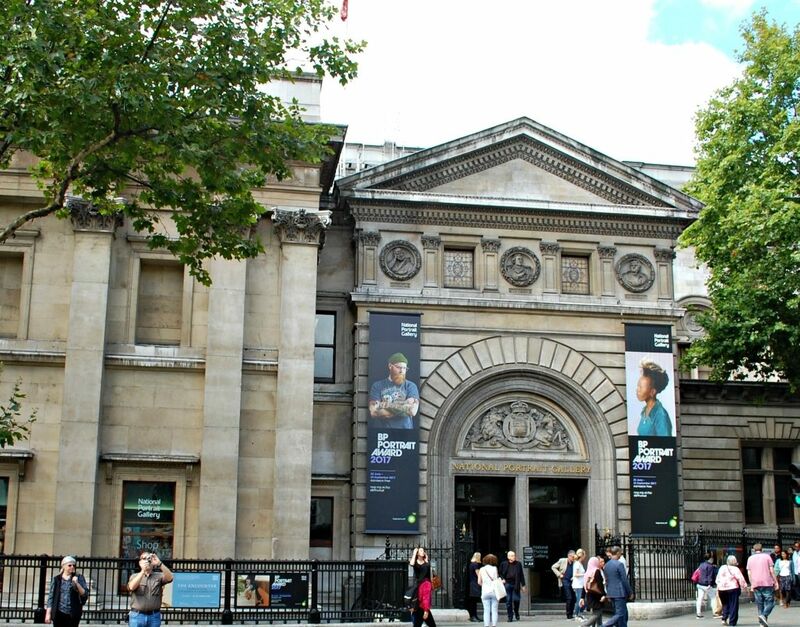 The British Museum delivers you just that by their free daily eye-opening tours on Roman Britain or just visiting room 49. 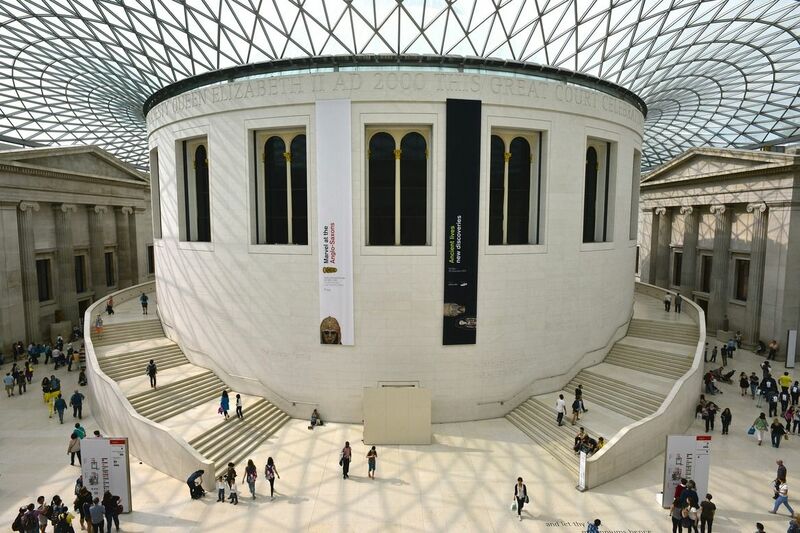 The room 49 tour will cover the Roman occupation of Britain, the diverse society, the wealth of the Romans, the laws, administration, currency, architecture and much more through the variety of objects and artworks on display. The Museum of London offers a wealth of topics that are covered in the Life in the UK book from World War I, World War II, British Empire Exhibitions 1924-1925, Elizabeth II Coronation 1953, Great Plague 1665, Suffragette Campaign 1903-1918 and Great Fire of London 1666. It is a place you should add to your learning tour of the UK. 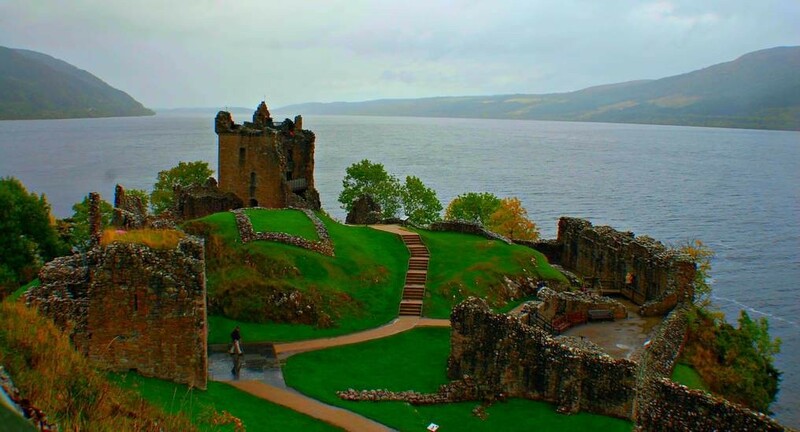 Every time I have visited Urquhart Castle I have thoroughly enjoyed my visit. The tour guides are so friendly and rich in knowledge about the history of Urquhart Castle and Scotland. On my last visit I learnt about how the castle played a key role in the Scottish fight for independence so make sure you to take the time to chat with them during your visit. Stirling Castle is one of the largest and most important castles in Scotland. The castle was one of the most used by the Scottish royal family and included crowing of several kings and queens including Mary, Queen of Scots and many others. The three-sided cliff face gave the castle a strong defensive position and strategic location during its time as a serving castle. In England try some roast beef served with potatoes, vegetables, Yorkshire puddings (which is a must with any English roast) and other accompaniments. For vegetarians, you can still try the tasty Yorkshire puddings! In Wales try some Welsh cakes which a snack is made from flour, dried fruits and spices. In Scotland, Haggis is the traditional dish which is made from a sheep’s stomach stuffed with offal, suet, onions and oatmeal. Not so friendly for the vegetarians out there! Instead pick up some Scottish Shortbread. In Northern Ireland, Ulster fry is the dish to try. A fried meal with bacon, eggs, sausage, black pudding, white pudding, tomatoes, mushrooms, soda bread and potato bread. Just leave out the meat if you are a veggie and try the slices of bread! On the 5th of November, the UK hosts a series of events for Guy Fawkes Night. It is sometimes known as Bonfire Night and marks the anniversary of the discovery of a plot organized by Catholic conspirators to blow up the Houses of Parliament in London in 1605. Many people light bonfires and set off fireworks. Shrove Tuesday is the day before Lent starts and traditionally where people eat pancakes which were made to use up foods such as eggs, fat and milk. I am not religious so to me it’s just an excuse to have pancakes for dinner! Celebrated around the world by the Irish is St Patrick’s Day on the March 17. It particularly remembers St Patrick, one of Ireland’s patron saints, who ministered Christianity in Ireland during the fifth century. On the 11th of November at 11 am, the UK commemorates those who died fighting for the UK and allies in the First World War. Everyone takes part in a two-minute silence and some buy poppies (the red flower found on the battlefield of WWI) to commemorate. Good luck! If you have study tips or links to the information you found helpful, share it below.